Hire Software Expert have an in-house team of young and dynamic experts who have the capability to handle complex E-commerce programming projects. Experts at Hire Software Expert have an immense dedication for design and development resultant of which is that we are one of the top-notch development company. 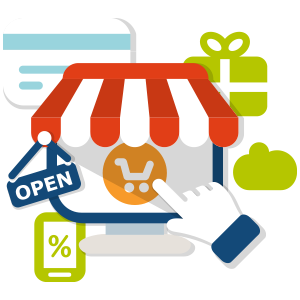 Want your services on popular E-commerce platforms like Prestashop, Magento, OSCommerce, VirtueMart, Zencart, Opencart, Ubercart, Woocommerce, BigCommerce, Shopify etc. Hire Software Expert is the right place for you. At Hire Software Expert, skills and e-commerce expertise of our young and dynamic team provides applications that overcome all the challenges. For an unique e-commerce development, be it your existing e-commerce profile or a contemporary e-commerce development with latest technologies , Hire Software Expert is the right place for you. To be recognized as a brand across our clientele , customers are our foremost priority resultant of which is that we lead in delivering quality products.